The images I’m watching now of the Notre Dame Cathedral are truly heartbreaking. 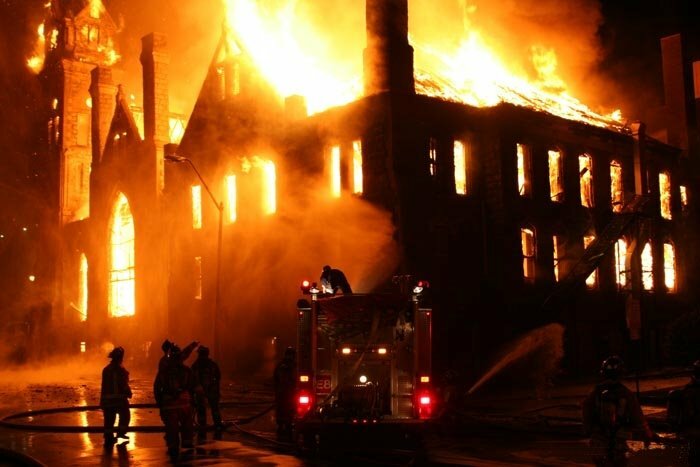 Since I was not the pastor yet of First UMC, I remember watching on TV similar flames in Downtown Memphis when the sanctuary built in 1893 burned. While a 113 years is old in Memphis, TN it is not nearly as old as Notre Dame which was built in the 13th Century. I can not help but draw certain similarities that must be ringing out in the hearts and minds of the people of First Church who were a part of the church when the fire occurred in 2006. I have heard many stories of the tears that were shed that day. Some tears because of the destruction of a beautiful building that had endured for many years. The majority of gut wrenching tears were because within the walls of the sanctuary countless children were baptized. Hundreds if not thousands of young couples began their journey of marriage together there. So many people had experienced for the first time in their lives the transformational grace of God in their lives. Many people heard and responded to the call to ministry God had place on their lives. In the years that have past since the fire that destroyed our sanctuary, we at First Church have been reminded that buildings (even beautiful historic sanctuaries) are really just containers of the transforming work that takes place inside. Over time the people of First Church began to see the transforming work of God in their lives was not tethered to a building. At the right time, God began to move us in the direction of building a new sanctuary. A new space to be home for God’s work in and through us. This Sunday as we celebrate Easter, it is my prayer that those who have been dearly impacted by the ministries contained within Notre Dame will see a glimmer of hope that if Jesus can defeat death, offer us the gift of redemption, and secure the promise to make all things new; he can and will bring hope out of the rubble and ashes that will stand where that once great cathedral once stood. Even as great building fall a church that stands on Christ will stand forever.